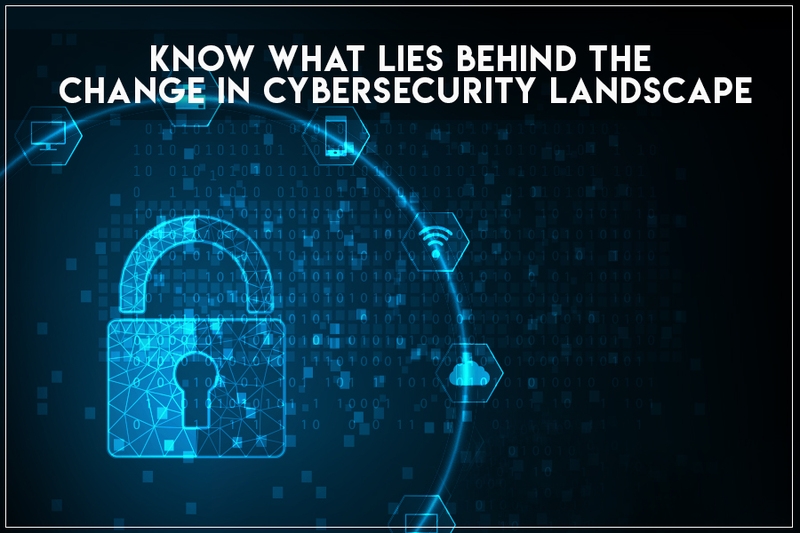 According to recent studies, there is a need for changing how cybersecurity is done. With advancements in the technology, there is also advancements in cyber-attacks. Therefore, it is necessary to mend cybersecurity rules to ensure safety. Technology is changing every day, in recent studies, it is shown that threats are evolving and are becoming dangerous day by day. Previously, when a user clicks on a link, open attachment, or run a malicious file then only the malware gets active and spread across the system. However, new malware like crypto worms is developed which remove the need for human interaction to spread. They are hard to identify and remove as they propagate over the network and its source is also hard to find. These malware have the ability to take down the internet. We all know that ransomware attacks are used to lock files and ask for ransom in return for opening the files. However, they are also used to damage the whole system. Ransomware attacked every system it got into whether it be a personal computer or large companies. Attackers are not looking for ransom when attacking companies, they are attacking to destroy system and files. Ransomware attacks are used to take down the whole system. Recent studies have found that malware can be transmitted with the genuine traffic. Another technique that is being used is to hide the malware and other threats in the genuine traffic which is encrypted. Often cloud services are being infected and will be used for controls and command. Malware hidden in genuine traffic is hard to detect because they behave and look like normal traffic. Companies and organizations are using IoT technology at a very fast rate. IOT is needed for digital transformation, however, this poses a great security threat. IOT devices are vulnerable, unmonitored, have less security, and they are often poorly patched. We have already seen IOT botnets, and they are growing at an alarming rate. This is a serious issue and cannot be solved by the methods that are used previously. Therefore, new ways must be found to fight these threats. The breakdown in business services. Data stored should be in segments so that if an attack occurs there will be less damage. If all the information is stored in one place, then in the situation of the breach all the information is compromised. Use of machine learning tools will be helpful in identifying threats before it is too late. This will stop attacks before happening and companies will be informed about the flaws in their system. Security should be extended till cloud. Cloud services should be properly secure this will ensure proper security and it will check the services regularly to ensure that services are running properly. Cybersecurity landscape should be changed because there is a big change in cyber-attacks. New methods are developed by the criminals to successfully perform cyber-attacks. Modern technology contains different flaws and vulnerabilities which should be patched, and new cybersecurity laws should be developed to stop attackers.